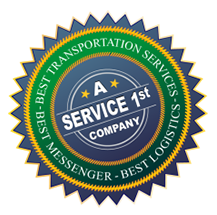 Established in 1987, Best Messenger Service Inc.’s initial goal was to provide “the Best” messenger service and courier service in the industry. With success, it has grown to be one of the most flexible delivery service companies in Chicago and throughout the Chicago suburbs. In 1999, Best Messenger expanded by providing local LTL delivery and expedited trucking in Chicago. Expanding the fleet with lift-gated straight trucks and providing a hazardous material service, Best was positioning itself to offer a variety of delivery services based on the customer’s needs. In 2006, Best Messenger once again diversified its fleet by adding a tractor-trailer / truckload service. By offering all vehicle sizes and a variety of transit times, Best Messenger became known as a “do it all carrier” to most of its customers. Because they were now offering full service transportation solutions, Best Messenger changed its name to Best Transportation Services Inc.
Best Transportation is privately owned by three individuals with almost 90 years experience in transportation, who have helped grow Best Transportation year over year. If you are looking for a local Chicago area transportation company that can handle all of your transportation needs, you have found the best, Best Transportation. We pride ourselves on our highly experienced customer friendly staff and 24/7 availability to provide essential delivery solutions for your business. With a customer-focused knowledgeable staff, a full fleet of vehicles, and a state of the art operating system, Best Transportation offers “value added” services not available with other carriers.